Al's Formula is a complete multi that contains support for prostate and cardiovascular health. * It contains no iron, which is not necessary to supplement in most men. Does a man need a multi-vitamin/mineral supplement? 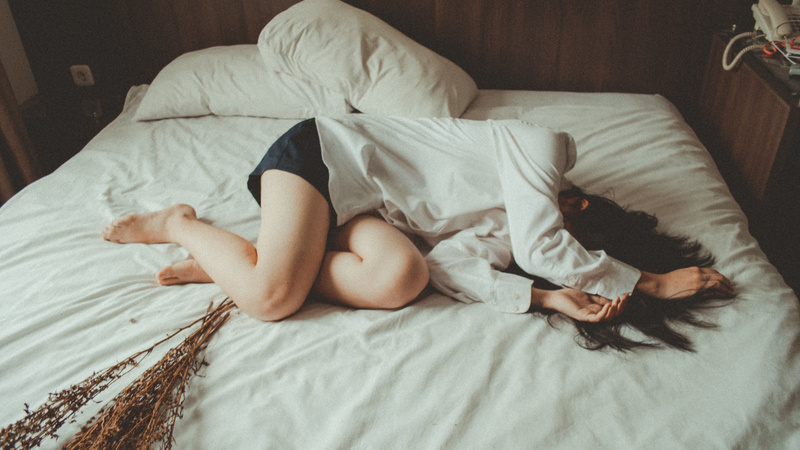 Because of the state of the food supply and the difficulty of getting five daily servings of fruits and vegetables, the answer is a resounding "Yes". The well-respected Journal of the American Medical Association has stated that everyone should take a multi-vitamin/mineral supplement. 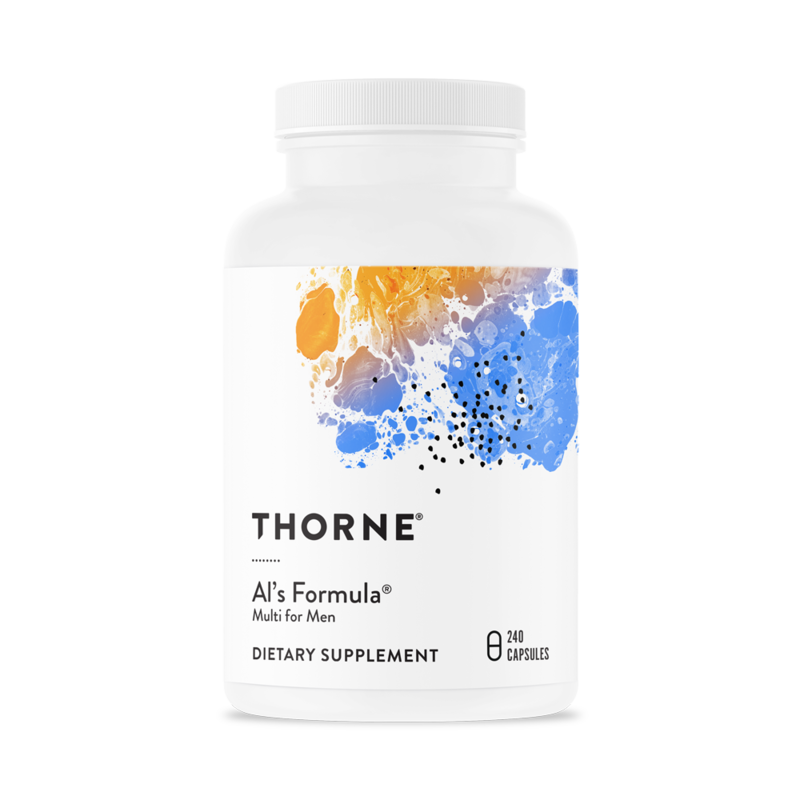 Al's Formula, named after one of Thorne's founders, supports the metabolic functions of a mature man. 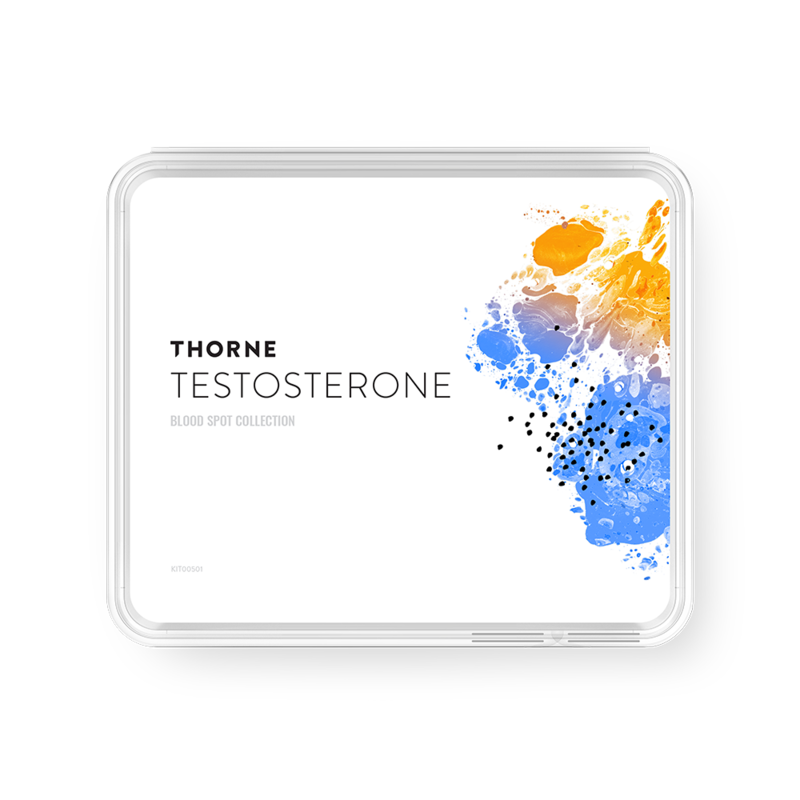 * It contains the vitamins and minerals in Thorne's other multi- formulas, plus specific ingredients that provide support for prostate health and cardiovascular function. * Al's Formula does not contain iron, because iron is generally not necessary and can be harmful for some men. Al's Formula contains saw palmetto extract, an extra amount of zinc, and the amino acids alanine, glycine, and glutamic acid for nutritional support of the prostate. * Hawthorn extract is included to promote healthy cardiovascular function. * Like all Thorne multi-vitamin/mineral supplements, Al's Formula contains the active forms of vitamin B2 (riboflavin 5'-phosphate), vitamin B6 (pyridoxal 5'-phosphate), vitamin B12 (adenosylcobalamin and methylcobalamin), and folic acid (folinic acid and L-5-MTHF). Calcium (150 mg as Calcium Citrate and 150 mg as Calcium Malate) 300 mg.
Magnesium (142.5 mg as Magnesium Citrate and 142.5 mg as Magnesium Malate) 285 mg. Saw Palmetto extract (fruit) (Serenoa repens)††† 160 mg.
Hawthorn extract (flowering tops) (Crataegus laevigata) 50 mg.
†This product uses Gnosis S.p.A.’s L-5-Methyltetrahydrofolic Acid, Glucosamine Salt (Quatrefolic®). Quatrefolic is a registered trademark of Gnosis S.p.A. ††This product uses Albion’s TRAACS® Chromium Nicotinate Glycinate chelate. TRAACS is a registered trademark of Albion International, Inc. †††This product uses Indena S.p.A.’s saw palmetto extract (Sabalselect®). Sabalselect is a registered trademark of Indena S.p.A.
Serenoa standardized to Fatty Acids 85%. Crataegus standardized to Vitexin-2”-O-rhamnoside 1.8%.